TiVo drops support for first-generation DVRs prior to launch on Virgin Media | What Hi-Fi? In a statement on its website, TiVo says: "After over 10 years of operation, the UK Series1 TiVo service will be discontinued as of June 1, 2011. Since November 2010, monthly Series1 customers have not been billed and will continue to receive free service until June 1, 2011. "Without the programme guide data provided by the TiVo service, Series1 boxes will have limited – if any – functionality. They can still be used to view previously recorded programmes and, under certain circumstances, may be used to record programmes manually." TiVo Series 1 DVRs (digital video recorders) were manufactured for sale in the UK from 2000 to 2002 and were available exclusively to BSkyB customers. If UK Series 1 customers have product or technical questions, they can get email support from bskyb-support@tivo.com. The new TiVo HD service on Virgin Media is due to start shortly. 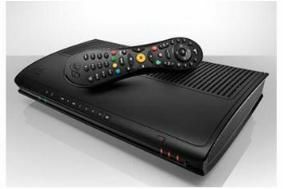 Virgin customers will need a new TiVo PVR – you can register your interest now on the dedicated Virgin TiVo website. Find out more about the forthcoming Virgin TiVo service in our special blog.